One week of life-saving food, six hungry mouths to feed — Atuil Chok faced choices no mother should have to make. 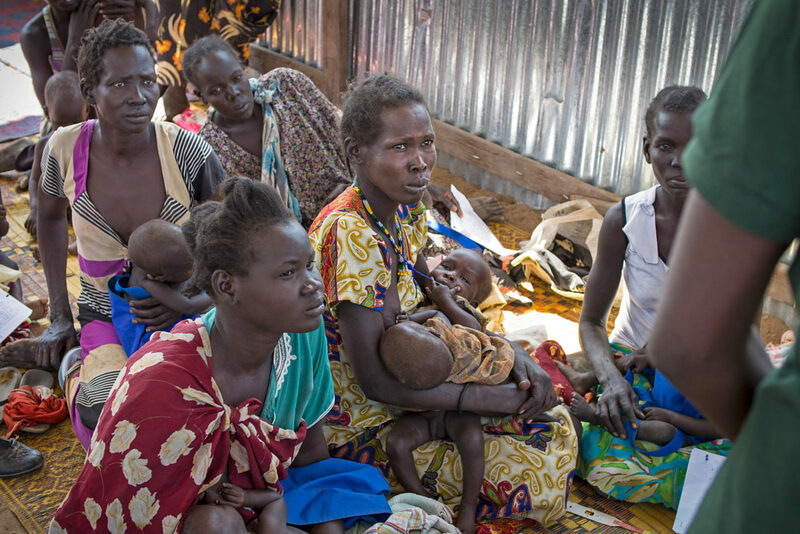 Today, across South Sudan, millions of mothers are facing the dilemma of how to nourish their children when there is simply not enough food to go around. Atuil Chok is one such mother. Atuil was already struggling to feed her family of six children, all under the age of 10, after her husband, Adim Garang, left to find work. But when her milk dried up and she was no longer able to breastfeed her newborn twins, her situation became much more desperate. 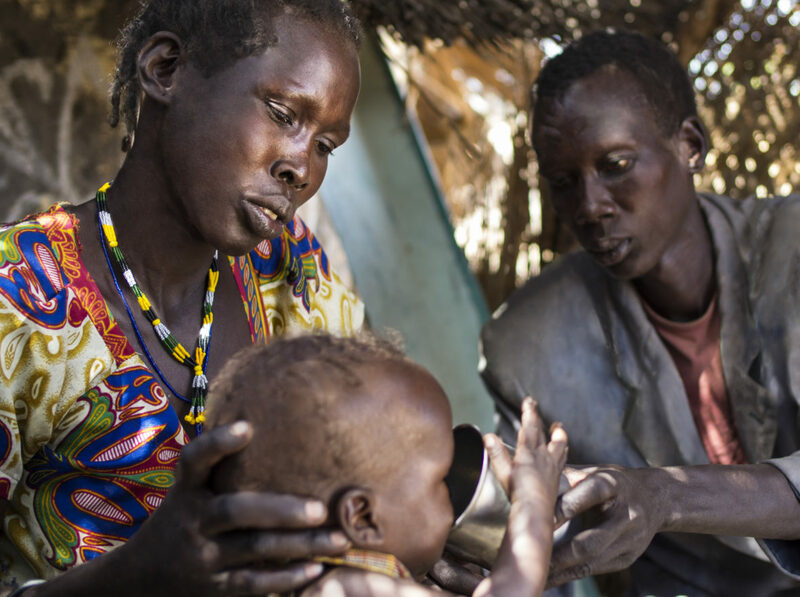 Atuil is among the five million people in South Sudan who are currently in the grip of a disastrous food crisis. Famine has been declared in some areas. Ongoing civil war, compounded by cycles of flooding and drought, has devastated food production, and imported goods are completely out of reach for most people due to skyrocketing inflation and a collapsed currency. Without nutritious food, Atuil was unable to produce enough breast milk, and her newborn twins, Anger and Chan, became severely malnourished. According to UNICEF, the malnutrition rate is as high as 33% in some areas, and it’s projected that more than one million children will be malnourished by July. In human terms, this means that with each passing day, mothers are being faced with choices no mother should have to make. Without nutritious food, Atuil was unable to produce enough breast milk, and her newborn twins, Anger and Chan, rapidly became severely malnourished. Though her other children were also suffering from hunger, children under five are the most vulnerable as they are at the most critical stage in their development. With her fields lying barren under worsening conditions, Atuil packed up her family and went to her parents’ home near Aweil. She had support, but there was still not enough to eat. Broader famine looms, and without help, mothers just like her will continue to be confronted with decisions no mother should have to make. It was then that Atuil was discovered by one of Concern’s community nutrition volunteers, nearly 60 of whom had fanned out across the area, searching for malnourished children and referring them to a nearby nutrition clinic. Atuil was urged to bring the twins to what’s called the outpatient therapeutic program (OTP), which Concern runs at the health center in Maduany. At the clinic, Atuil was educated about child nutrition and hygiene and given a week’s supply of ready-to-use therapeutic food (RUTF) — a nutrient packed peanut-based paste that’s specially formulated to treat severely malnourished children like Anger and Chan. She was told the twins had to return once a week so their recovery could be monitored. 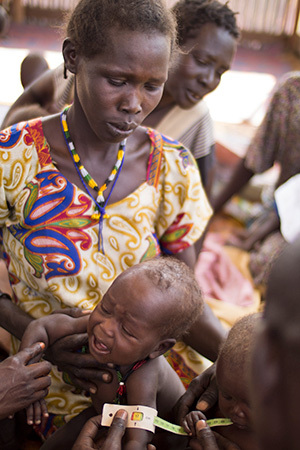 Most malnourished children are released from the program after four to six weeks. But when Atuil returned for her regular monitoring appointments, Anger and Chan were not getting better. It emerged that out of sheer desperation, she had been sharing the RUTF among all of her children. Instead of giving Anger and Chan each the full sachet that she knows they need, she was dividing the contents among all six kids. The 500-calorie meals that were intended to save the lives of her most vulnerable children were instead being used to quiet the whole family’s hunger pangs for one more day. It was a difficult decision, but — for any mother — an understandable one. 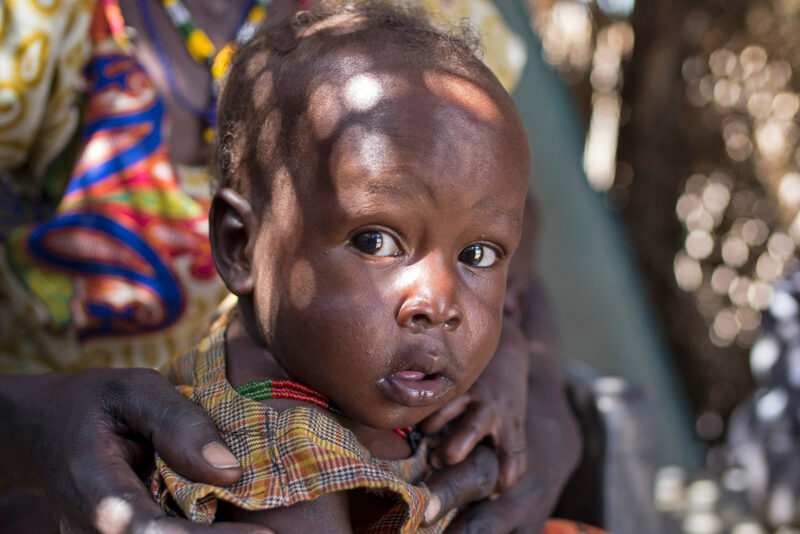 “Some households have no other source of food for feeding children not in the OTP,” says Concern’s Denis Okoya, which can put mothers like Atuil in an agonizing predicament. Thankfully, Atuil’s family is now among the tens of thousands that are benefitting from general food distributions (quarterly distributions of staple foods for vulnerable families) carried out by Concern and its partners. The twins are back in the OTP and they’re progressing well. Her husband, Adim, has returned, and is now looking for ways to support his family. Atuil hopes that she will no longer have to face such impossible choices. But broader famine looms, and without help, mothers just like her will continue to be confronted with decisions no mother should have to make, as they simply try to feed their families. You can help families facing hunger in countries like South Sudan, Somalia, Kenya, and Ethiopia.